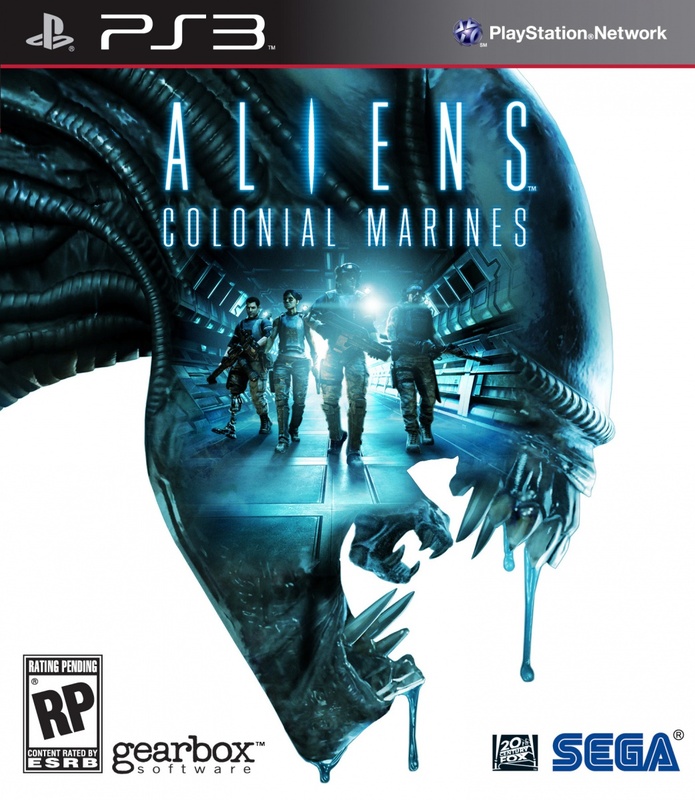 Sega has finally unveiled the official box art for the upcoming Aliens: Colonial Marines, and it totally lives up to its name. 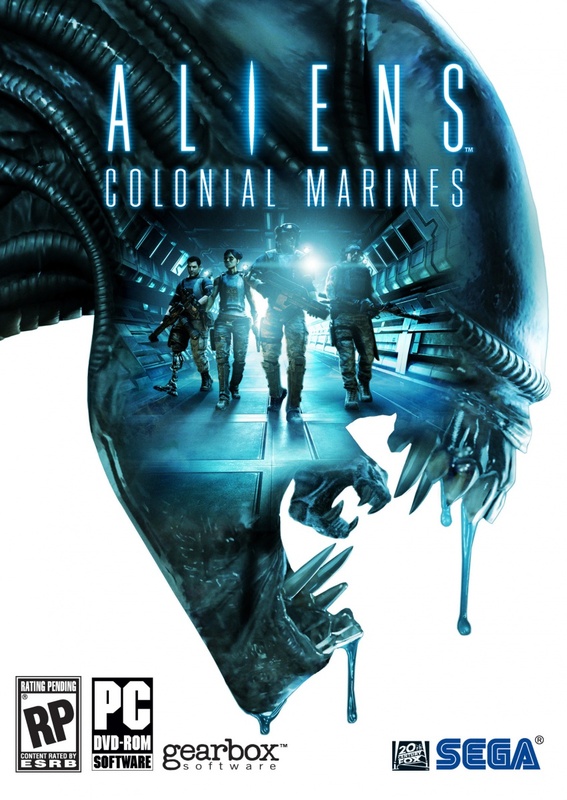 When you hear the title "Aliens: Colonial Marines," what is the first image that pops into your brain? Fluffy pandas? Bewildered baby ducks? No, of course not. 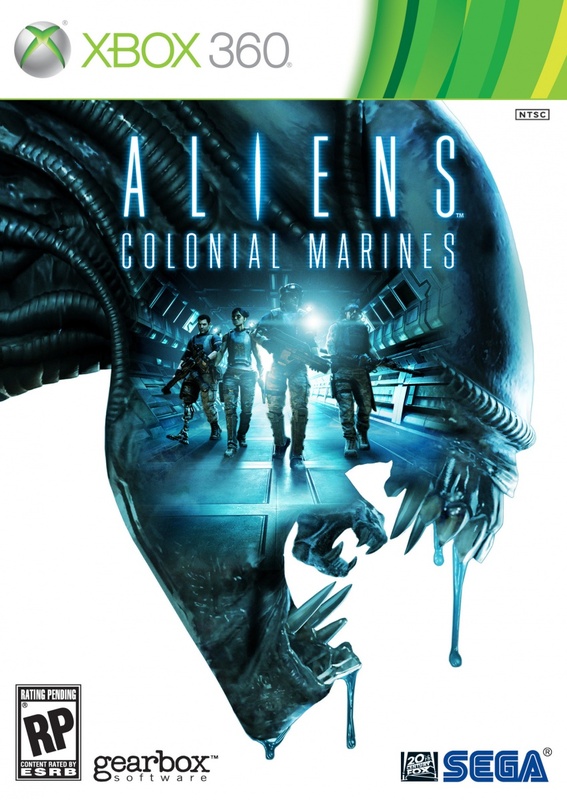 You think of hardened, futuristic military types and abyssal, insectoid bipeds that are equal parts pseudosexual nightmare and dripping viscous goo. Apparently that's the imagery Sega came up with too, as the newly-unveiled box art for the game depicts the former within a silhouette of the latter. "Perfectly serviceable" or "entirely on-point" would be good descriptors for this image, though "sorely lacking Bill Paxton" would work even better. In an effort to surreptitiously pad out this text blurb, I will also point out the artist's excellent use of negative space, both to highlight the horrific visage of the alien and to subtly remind players of the bleak, lonely fiction the game is seeking to emulate. Those four heavily-armed humans are somewhat comfortable in their technological superiority, but crouching in wait between them and the comforts of modern life is an unimaginable horror beyond which lies naught but the cloying emptiness of death. It's all very high-minded and metaphorical, if you're willing to be super-pretentious about it. That image embedded at right is the Xbox 360 box art, but the gallery below also includes the PlayStation 3 and PC art in all their giant-sized glory. As usual, click to embiggen. Aliens: Colonial Marines is scheduled for release on the aforementioned platforms this Fall. It's also coming to the Wii U, but that release is still somewhat nebulous. Expect exceedingly similar box art.